If so, you should be active on LinkedIn. • Publicity. Many journalists use the social network to find experts to interview. • Reaching people around the world. LinkedIn has active users in over 200 countries. • Establishing your professional profile. Advertise your glowing achievements and skills. • Explore opportunities. Discover book events, writing-related work and avenues to generate book sales. • Networking. Hundreds of thousands of other authors are on LinkedIn. • Finding experts in the industry. Editors, reviewers, publishers… they’re all on LinkedIn. Check out these LinkedIn marketing ideas below. Before anything else, start with your profile. 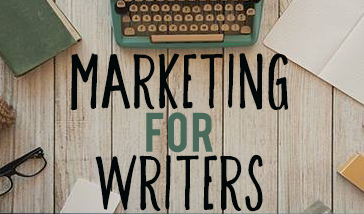 It will attract attention to your author brand as well as your book. Make it as detailed as possible. Use your author photo as your profile image so that it’s consistent with the rest of your marketing materials. Fill out all the applicable information fields, including your work history, projects, awards and honors. Use keywords. LinkedIn profiles are search engine optimized. If you use the right keywords, you’ll increase the chances of getting found by people interested in your brand or book. But stay away from fake, fluff or exaggerated keywords. Did you know that you can add photos, videos, infographics, documents and slideshow presentations to your profile? It’s baffling why a lot of users haven’t used this feature yet. Here is a screenshot of my profile. I have included our logo and a SlideShare presentation. The description on your profile preview at the top of your profile page will appear almost everywhere on LinkedIn, including the search results, connections list and the “People You May Know” list. Your title gives the opportunity to quickly tell people what you do and that you’re an authority in your niche. Make the title as descriptive as possible. Include all related jobs and even your book title. 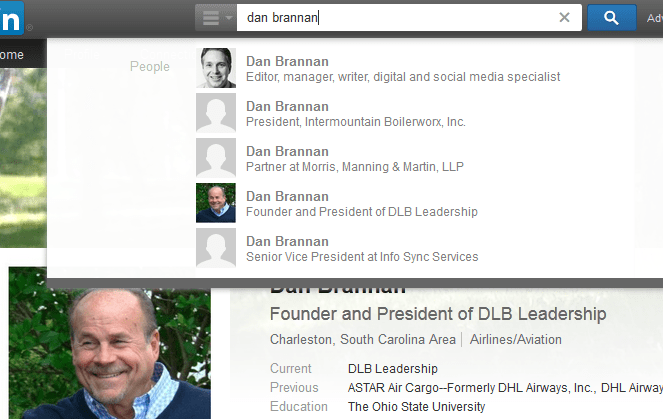 Take a look at author and former international airline captain Dan Brannan’s profile preview, for instance. 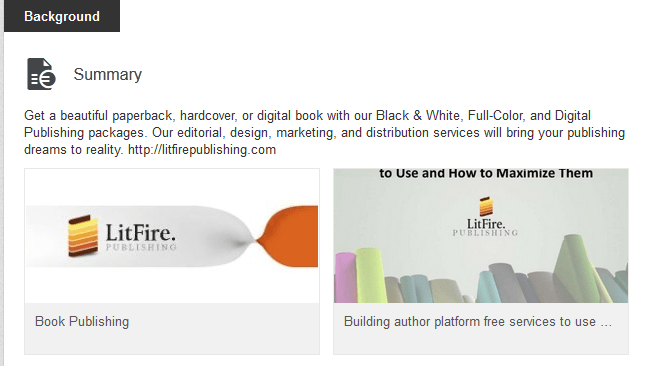 The Publications section is designed for featuring books and other publications you’ve written or contributed to. 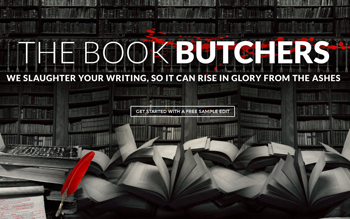 You can even insert links to your book’s sales page. Groups are the place for thoughtful and intelligent discussions. Here, you can attack narrowed down topics, and members will almost always join the conversation. Groups are easy to find. Simply type in keywords and choose the Groups category in the search results page. Content quality is just as important, because your purpose is to boost engagement and fire up a discussion. It only makes sense to build relationships with the people you add instead of simply adding more and more connections. The deeper your relationship with them, the more they’ll engage with your content. Reach out to your connections from time to time. “Like” and comment on their posts, send them a message to ask questions, share information and get to know them. Do these things with people already in your connections list and people who view your profile. You can also do this with other influencers, authors or readers in your discussion groups. At first glance, LinkedIn seems like a virtual repository of resumes, but it’s more than that. It’s a social network for professionals. By maximizing the marketing and networking opportunities of LinkedIn, it could very well be your most powerful online marketing tool. Great article Jill. I’ve made some great connections on LinkedIn and I think it’s one of the better social media platforms for authors to focus on.